At the Women's, we have developed a comprehensive program to help develop and support staff because we know that our most valuable asset is our people. ﻿The Women’s Staff Benefits Program helps us create a positive, safe and productive work environment where staff are recognised and rewarded for the work they do. Through the Staff Benefits Program, we offer employees at the Women's a range of benefits. The Women’s offers generous tax savings through a range of salary packaging options to full-time, part-time and casual staff. Some of the benefits available are the $9095 threshold, meal entertainment debit card, holiday accommodation and venue hire. Employees at the Women’s are eligible to receive a range of benefits through various financial institutions. The benefits offered are discounts on the full range of banking products, including home and personal loans, insurance, credit and debit cards, term deposits, financial planning, and everyday banking. A number of discounts are available to staff for on telephone and computer products, and services through arrangements with corporate partners. Discounts are also available through the onsite retail precinct. 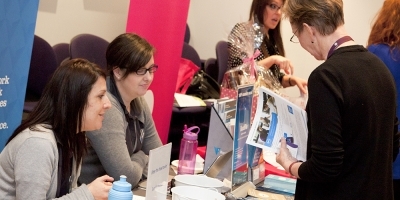 Each year we host a 2 day staff benefits expo which brings our providers on site for them to promote to our staff the latest range of benefits on offer. The feedback that we have from this event is that not only does this show how we value the staff with the benefits we provide but it is also a fun way to learn what the providers can offer. The Employee Assistance Program is available to all staff at the Women’s. This service provides free, confidential counselling and assistance to staff for personal and work-related issues. The service is independent, and can be accessed by staff without a referral from management. The Women’s supports parents at work. The Women’s is accredited as a Breastfeeding Friendly Workplace with the Australian Breastfeeding Association, and offers onsite facilities and policies to support staff who are breastfeeding. Staff receive generous paid parental leave, in addition to the Federally funded scheme. An on-site Childcare Centre is available for staff, and can be paid via pre-tax salary deductions. The centre offers both casual and permanent places; availability is not guaranteed. Women’s staff can access, by negotiation, a range of Flexible Working Arrangements, including leave without pay, working from home, ADOs, flexi-time, part-time and casual hours. An undercover, secure car-parking facility is available for staff at one of 2 locations. Casual and permanent parking is on offer, with permanent access paid via pre-tax salary deductions. The Women’s Staff Health Clinic is located at the Royal Melbourne Private Hospital. Women’s staff have access to three GPs, including two female GPs. All doctors bulk bill, and several appointments per day are set aside for staff to ensure short waiting times. The Women’s offer a range of discounted and subsidised gym services and memberships at several gyms in Melbourne. Additionally onsite exercise classes are provided at a discounted rate to staff. Women’s staff can visit the Well Women’s Clinic for free, and benefit from services delivered by women’s health nurses, such as pap tests, breast self-awareness education, and tests for STI’s. Staff are also able to receive their yearly flu vaccinations free of charge. The Women’s offers a 12% discount on private health insurance through a major health insurer. The Women's attracts health professionals who are dedicated to caring for women and newborn babies and who wish to work in an environment that provides world-class clinical expertise. We also offer a diverse array of employment opportunities across the areas of management, administration and clinical support. Interested in becoming part of our team? Take a look at our current employment opportunities.